Marian Balster, Director of Environmental Management; OLAM Spices & Vegetables Inc.
Marian Balster is the Director of Environmental Management for OLAM Spices & Vegetables Inc., where she is responsible for the Sustainable Development programs for OLAM. She is currently working to establish protocols for reporting data to external stockholders, and recently worked on continuous energy improvement programs, ISO-50000, and energy-efficiency project management. She has more than 30 years of professional experience in environmental, health and safety, and sustainable development, and has worked as a business consultant on EHS compliance and program development for a range of industries. 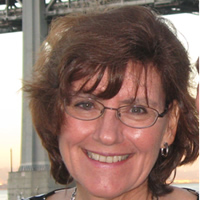 Ms. Balster earned an MBA from Santa Clara University, and Bachelor of Science degree in Microbiology.